The Staff of Creations Salon and Blow Dry Bar would like to wish our friends and clients a very happy, healthy and prosperous New Year! The word “Balayage” comes from a French word meaning “to sweep”. Now, if you have ever seen someone get a balayage in the salon, this probably makes sense to you. When applying the color for a balayage, you sweep the color through small sections of the hair onto a board or foil, giving it the natural transition down into the lighter color. Balayage has softer, less noticeable regrowth lines than traditional highlights - the principal idea being less is more when creating soft, natural looks. Balayage is hand painted and customized for each client. Make an appointment and get on trend! If you are uncertain about switching over to a personalized hand painted Balayage, Creations Salon and Blow Dry Bar will be more than happy to consult with you to determine which look is best to compliment your new style. It's important for stylists and clients to know about filters and the effects they have on hair. Filters are the latest trend influencers that some hair stylists are using to edit their photos. Filters are beautiful but not REAL. Filtered photos of hair are usually not realistic. You might be in love with the filter more than you are the real hair. Try to pick unfiltered photos for your inspiration shots. You can usually click on the models tagged photos and find some unfiltered shots which would be more realistic. RE-CREATE YOUR SALON BLOW-OUT AT HOME! Talk to your stylist about our line of professional tools, including: brushes, styling wands, curling irons, smoothing irons, blow-dryers & more! 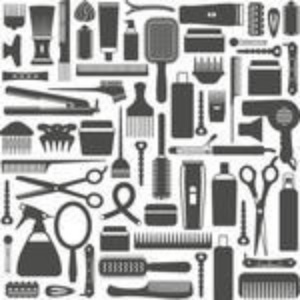 We can teach you how to properly use the tools in the salon so that you can do the same in your own home! If you do want to bring in your brushes and styling tools, just give the salon a call ahead of time so we can be sure to set aside extra time!